BE PREPARED FOR ANYTHING! Designed to feed the impending need for Zombie Enthusiasts, Hunters and Preppers. 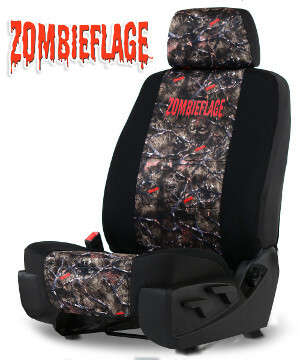 This Zombieflage Camo Seat Cover comes as no ordinary part of your apocalypse gear. 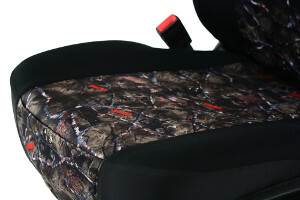 Non-infected workers created the best fitting Seat Covers available using Heavy Duty Canvas or Neoprene which will protect your interior from blood, guts, bites, scratches, and every day wear and tear. 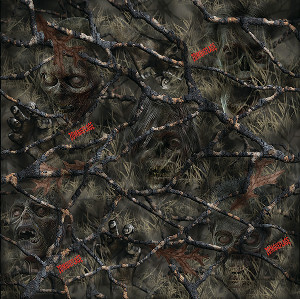 We offer 3 different pattern options: Horde, Brainstorm and Woods. These custom seats covers are made to order for your specific vehicle and give you the best fit following every dip and curve that your seat has. Get your ride apocalypse-proofed right away. You know it's coming right? Foam backing for added comfort, fit, and durability. Pre-Treated with a Scotch Guard (stain protector). Fits almost every car truck and SUV bucket seat, dating back from the 1960's to current Models. Best fitting universal seat covers on the market. Our competition uses inexpensive polyester. We use Lycra backing for a better fit. 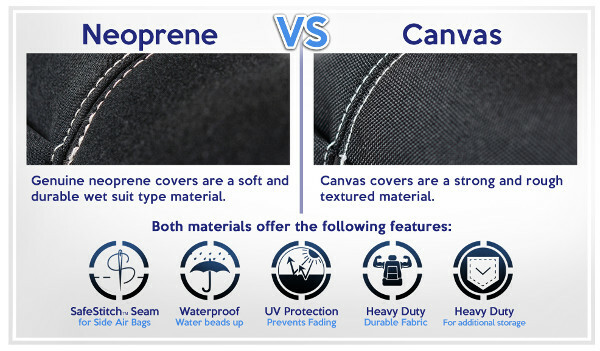 We use higher quality and more expensive fabrics in our covers than our competition. 1 year warranty on seams and stitching.